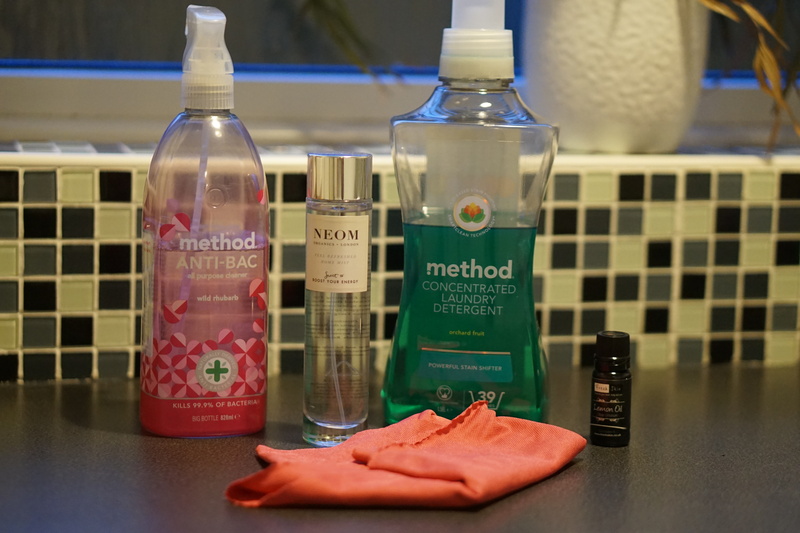 So today, as part of my ‘5 most used’ series I’m sharing with you my 5 most used cleaning products. These are of course all natural and non toxic due to my recent switch over and I couldn’t recommend them enough! This stuff is seriously the bees knees; it kills 99.9% of bacteria yet is plant based and completely safe for your family. Method do specific cleaners for wooden surfaces, glass, bathrooms etc which I do have but I pretty much just use this on everything! It goes on my kitchen surfaces, dining room table, side tables, floor if there’s a little spillage – honestly it works wonders everywhere! It smells incredible and the smell really lasts which gets a lot of compliments from guests. 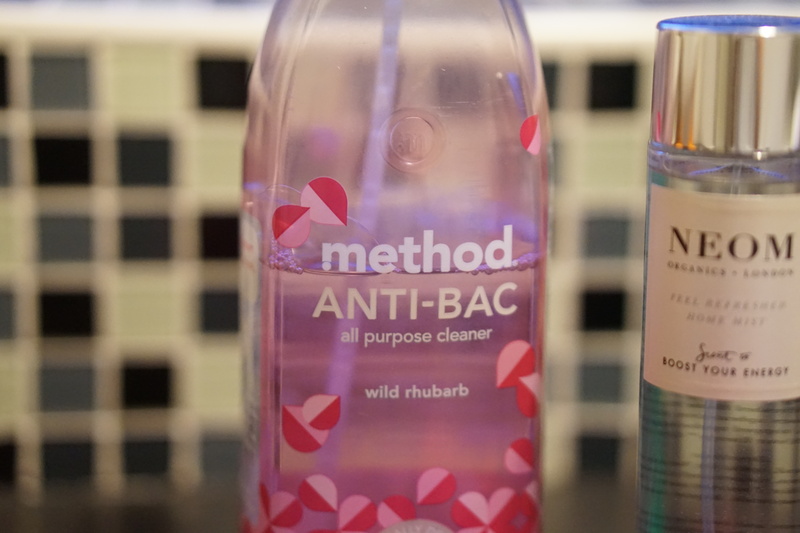 I have it in the pink grapefruit scent and also wild rhubarb and they are both so scrumptious! This was actually suggested to me by an Instagram follower when I did a shoutout for natural room sprays. They are organic and natural and not only smell wonderful but are mood boosting. I have the Feel Refreshed scent to boost my energy and also the Happiness Home scent to make me – you guessed it, happy! 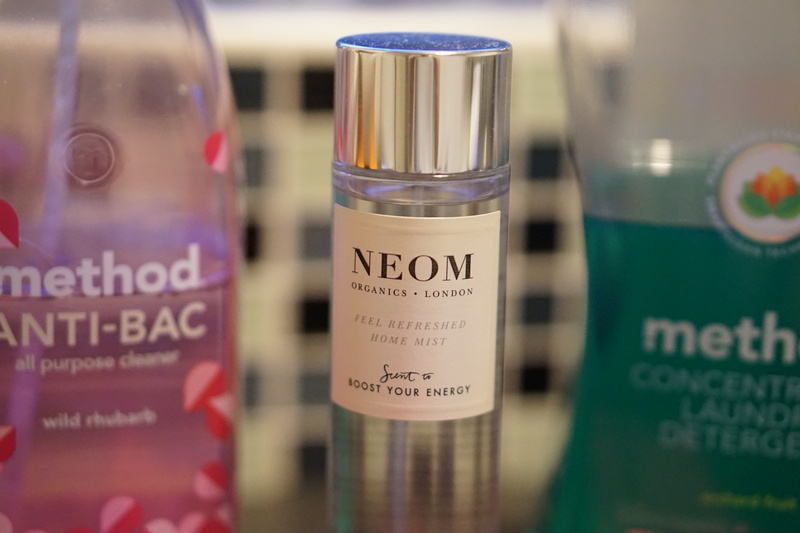 They’re fab to spritz onto the sofas for a little burst of freshness whenever you sit down! I recently made the switch over to e-Cloths and I’m so glad that I did. 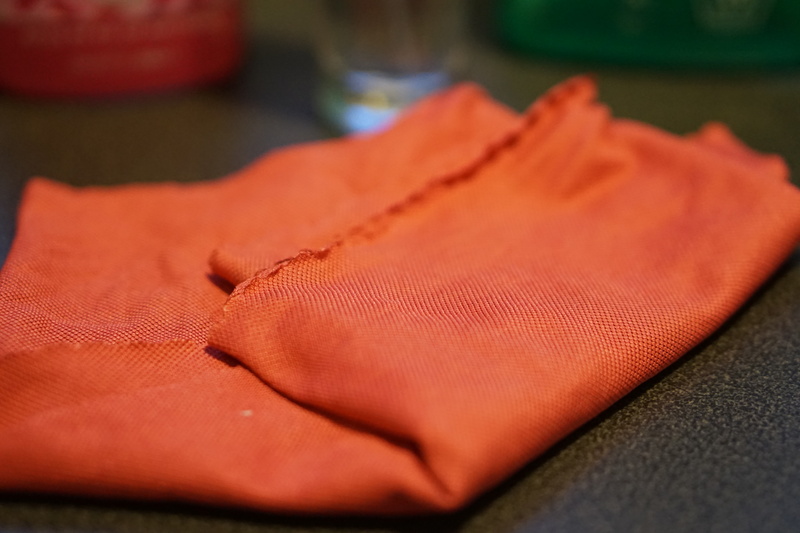 With e-Cloths you don’t need to use any product you simply wet them with water and wipe away. They have all different types but the general purpose one is great for most surfaces and I’ve found that they clean windows and other glass surfaces amazingly! The e-Cloths remove over 99% of bacteria, and save not only time of using products but money from buying them! They’re better for the environment and also last for ages; I think something like up to 300 uses! I’d been using all natural laundry products for quite some time now due to Jaspers eczema and dermatitis but the product that I was using (eCover) didn’t really have much of a scent and Jasper still had the odd flare up on his skin. 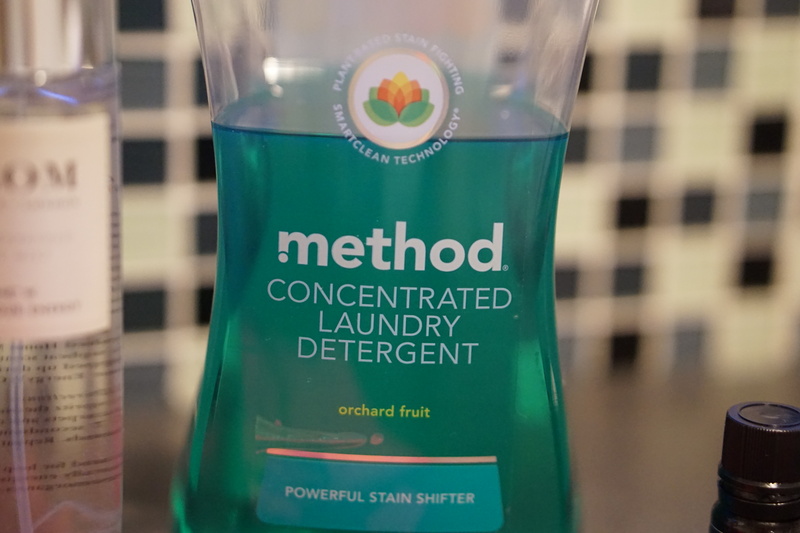 A couple of weeks ago I switched to Method’s Concentrated Laundry Detergent and I am seriously impressed. asper’s skin is better than ever and our clothes have the most scrumptious scent even after they’ve been dried, folded and put away. The scent that we have is Orchard Fruit and it has stain fighting properties but there are also other scents tat are amazing like the peony one! If you or anyone in your family suffers from sensitive skin then I would definitely give this a go! Last but not least, essential oils. I’m still learning with these and my knowledge is pretty basic but I’ve been loving using lemon, eucalyptus and lavender essential oils. 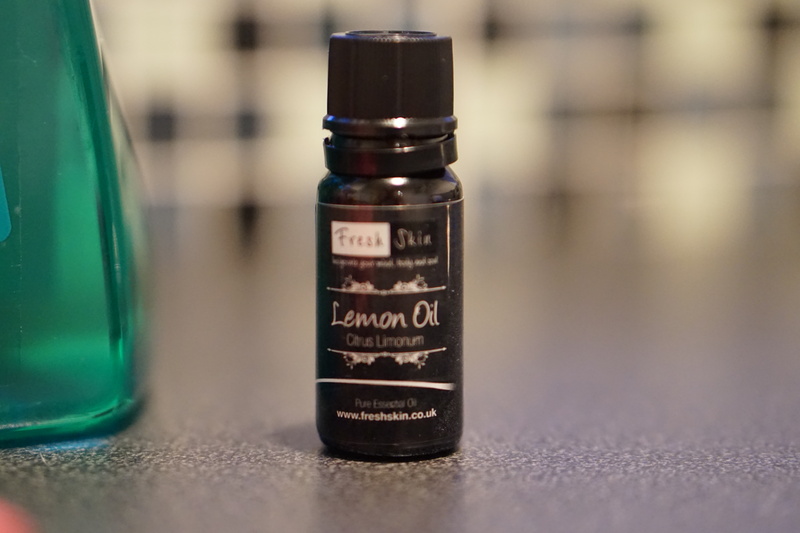 Lemon has been fab to pop in the dishwasher to give it that extra bit of freshness and I find when I do this the glasses come out so much cleaner! I also pop it down the sinkhole and used it to clean the oven along with bicarbonate of soda. The eucalyptus and lavender oils made a fab curtain spray when I did my recent seasonal clean and all three of them worked amazingly as a toilet cleaner fizz when mixed with bicarbonate of soda! Well those are my 5 most used natural cleaning products, I’d love to know what yours are too so please do pop them in the comments below!